Submitting a Tip of the Hat is a quick and easy way for our Summer guests to thank or recognize a member of the GW Summer & Conference staff who has had a positive impact on your Summer experience. 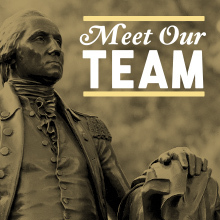 We encourage you to share the ways in which this staff member made your stay at GW, and in Washington DC, especially enjoyable. Our staff members are recognized throughout the Summer and we will be sure to share your comments and accolades with them.